In the autumn of 1973, the naturalist and writer Peter Matthiessen and the zoologist George Schaller set out on a gruelling trek into the Himalayas. They were headed toward the Dolpo region of the Tibetan plateau. Schaller wanted to study Himalayan blue sheep; Matthiessen hoped to see a snow leopard—a large, majestic cat with fur the color of smoke. Snow leopards, which belong to the genus Panthera, inhabit some of the highest mountain ranges in the world, and their camouflage is so perfectly tuned that they appear ethereal, as though made from storm clouds. Two of them feature on the Tibetan flag of independence, representing harmony between the temporal and spiritual planes. A Camp on the Shore of Victoria Land, originally published in the March 1913 issue of Harper’s Magazine. A visit to the American Museum of Natural History’s frozen-specimen collection, adapted from Resurrection Science, published in The Harper's Blog. "In an era of anthropogenic global warming, preserving life in man-made freezers is both prudent and ironic, not a solution in and of itself, but a last resort." Last spring I was reporting on the last Northern white rhinos in Africa and I had an interesting conversation with a bush pilot on the veranda of my host's home on the outskirt of Nairobi. I had been explaining how in the future, stem cell technology might be used to recreate Northern white rhinos in surrogate rhinos, when he asked me, "Why don't they just use stem cells to recreate rhino horns and sell them to stop poaching?" I went home and set out to find anyone else who had the same idea and sure enough, I found the bioengineer and entrepreneur Garrett Vygantas. My piece in The Atlantic focuses on how Vygantas is launching a company to produce and sell artificial rhino horns to Asian markets, and the ethics of this endeavor. I've got a new piece out in Salon laying out some of the ethical territory when it comes to de-extinction. "There is the hope implicit in the possibility of de-extinction that it will help humanity avert the environmental apocalypse that extreme biodiversity loss threatens. De-extinction pioneers are eager to invest their efforts with a deeper moral purpose, one that suggests the power to bring back species could mitigate humanity’s liability in the ongoing Sixth Great Extinction, and even work to correct past crimes against the planet. “Humans have made a huge hole in nature, we have the ability, maybe the moral obligation, to repair that damage,” said environmentalist Stuart Brand, former editor of the 1960s back-to-the-land guide Whole Earth Catalog, and co-founder of the Revive and Restore Foundation. To date, de-extinction has received a lot of breathless publicity but very little critical debate. The question that remains unanswered is whether it could become a useful conservation tool for the thousands of species that are endangered and facing extinction today. In fact, it is possible that these advances could have the opposite effect, putting endangered species at greater risk." If there was any hope during the 20th century that untrammeled, truly wild places still existed on earth it was diminished by the realization that man-made climate change was occurring at a devastating scale, affecting permafrost and ocean ecology no matter if humans had ever set foot there before. The last couple of days I've been reading Bill McKibben's classic The End of Nature, which I see as a kind of window into the thoughts of someone who believes deeply in a conception of nature as eternal and separate from man, and the moment they realized that this idea is dead because of climate change. Written in 1989, it's still a sad and even dark text: McKibben likens nature to a forest where the whine of a saw (representing perhaps man's ultimate folly) will forever reverberate and taint it. Climate change alters the very forces that shape nature, giving birth to new deserts, altered landscapes, different air. It kills the conception of nature as something that is bigger, more powerful than humanity. There have been many challenges to McKibben's ideas, particularly the dichotomy that he establishes between men and nature. In the 1990s, environmental ethicists like J. Baird Callicott began questioning the assumption that wilderness is an objective thing at all and not simply an ethnocentric concept that arose out of a particular cultural and philosophical moment, namely the arrival of Europeans to the "New World." This place looked pristine, never mind the tens of thousands of people who already lived there. 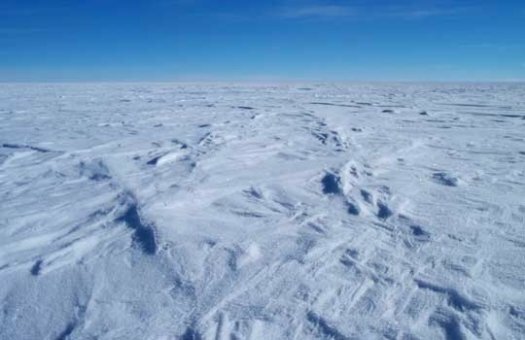 "1492, the only continental-size wilderness on the planet was Antarctica," wrote Callicott in A Critique of and an Alternative to the Wilderness idea. "The aboriginal inhabitants of North and South America, further, were not passive denizens of the forests, prairies, and deserts; they actively managed their lands--principally with fire." Despite these conceptual challenges, McKibben's idea of untrammeled nature and a sense of mourning over the loss of it is, I think, very much alive even 25 after it was declared dead. In June, scientists announced they had discovered a lake on the Gold Coast of Australia that was untouched by climate change for 7,000 years (the whole of human civilization, in other words). Calling it a "climate refuge," researcher Cameron Barr of the University of Adelaide said they had tested fossilized pollen and algae and found little change in the lake's chemistry over time. "It's like God's bathtub," he said. It's an apt description, not for accuracy but because "God" is the only word in this context that could convey the sense of otherness or separateness from man that I think Barr was trying to communicate. It reminded me of a similar story about Lake Volstok in the media last year, when Russian scientists finished two-decades of drilling to reach the freshwater lake which had been hidden under miles of Arctic ice for 20 million years. "There is no other place on Earth that has been in isolation for more than 20 million years,' said Lev Savatyugin, a researcher with the AARI, at the time. 'It's a meeting with the unknown." It's revealing that such stories focus on the novelty of these ecosystems' pristine condition. Maybe this focus is as much about a wish to still have undiscovered, unknown places on earth, places that are different and independent from us, beyond our reach despite our seemingly unlimited power to wreak ecological havoc.